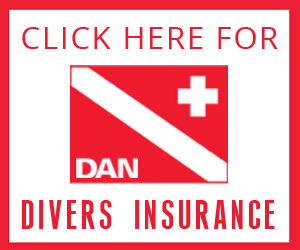 Join Underwater Connection on an unforgettable trip to the remote Palau! Spring 2020. More information to come. Contact us to be added to our waitlist. For this almost 2 weeks long trip, you will visit Palau, one of the “Seven Underwater Wonders of the World” and Chuuk Lagoon, formerly known as Truk Lagoon, the world’s wreck diving Mecca! Palau is an archipelago of over 500 islands, part of the Micronesia region in the western Pacific Ocean. It is known by divers as one of the most amazing dive destinations in the world not only for its magnificent aquatic life, but for the remoteness; you will be truly vacationing in paradise! Palau is also home of the famous Jellyfish Lake, which has recently reopened and has always been a crowd pleaser. Truk is a sheltered body of water that during the Second World War had become a major naval and logistical hub with Japanese battleships, submarines, aircraft carriers, and other giant vessels. After an American attack to their fleet, Truk's sunken vessels remain in the lagoon, comprising the world's largest ship graveyard. A unique destination for divers that enjoy wrecks full of history. *Final Payment amount is dependent on which rooming arrangement you signed up for and if you purchase your Airfare from UWC. Contact UWC for more details and flight suggestions if not doing group air.